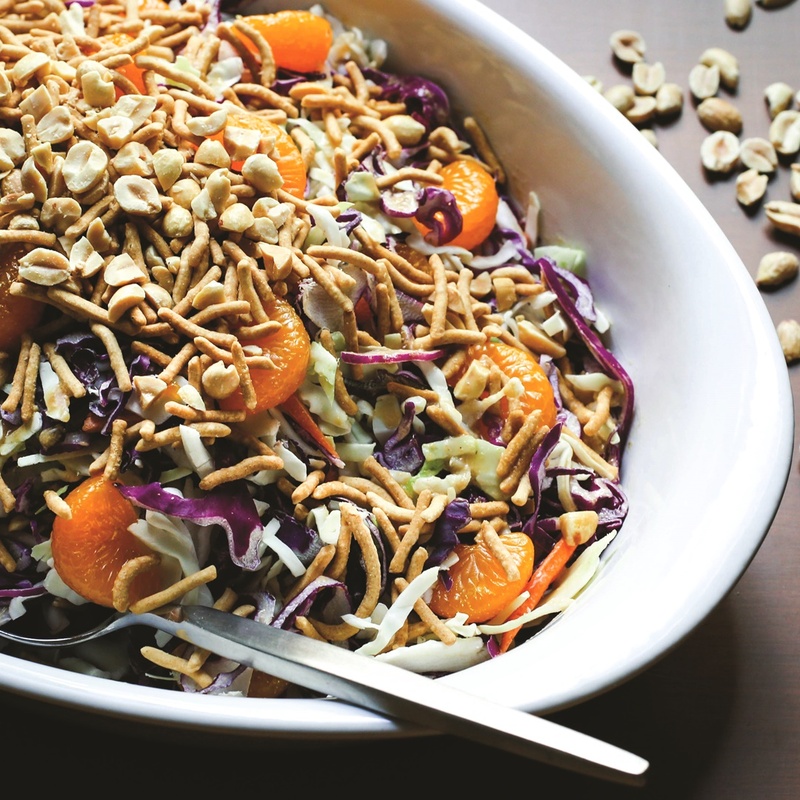 Skip the mayonnaise and make this flavorful Asian peanut slaw! Unlike ordinary coleslaw recipes, this version packs in some protein, is relatively low in fat, and lets fruit and vegetables be the star of the show. It’s great for family cookouts or summer potlucks, where peanut allergies aren’t a concern. And if you need a healthy, quick main dish, simply top it with your favorite protein. The ingredients are a good fit for chicken, edamame, tofu or tempeh. 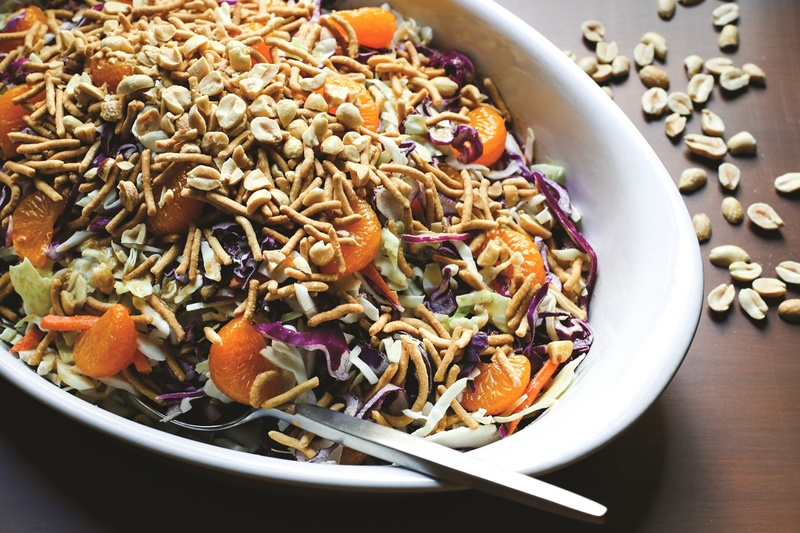 This recipe with photo for Asian peanut slaw was shared with us by the Georgia Peanut Commission. 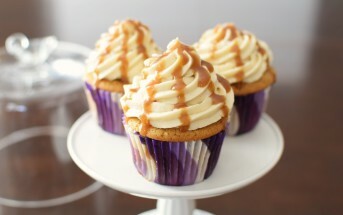 By ingredients, this recipe is dairy-free / non-dairy, egg-free, tree nut-free, vegan, plant-based, and vegetarian. For gluten-free Asian peanut slaw, you might actually be able to locate some gluten-free chow mein noodles. But if not, you can simply omit the chow mein noodles, increase the peanuts, or add sliced almonds. Drain the juice from the mandarin oranges into a mixing bowl and reserve the oranges. Add the dressing, peanut butter and red pepper to the mixing bowl, and whisk until well-blended. Add the peanuts, oranges and coleslaw mix, and toss until thoroughly coated. Garnish the slaw with chow mein noodles before serving. 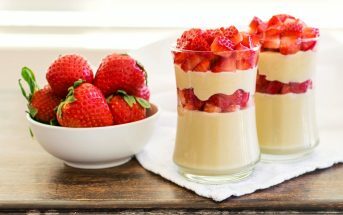 This looks wonderful…I’m looking for recipes for our BBQ this weekend and this looks like a fun one to add in to change things up! And it looks pretty easy too…bonus for me! Thanks for the tip on gluten free chow mein noodles! I’ve been looking for some. No problem, I was happy to find those – quite neat!